There are a few beliefs we hold deeply at K-Gas Propane. THINK OF THESE AS THE “WE HOLD THESE TRUTHS TO BE SELF-EVIDENT” PART OF HOW WE THINK ABOUT OUR WORK. These statements describe the reasons we come to work every day. 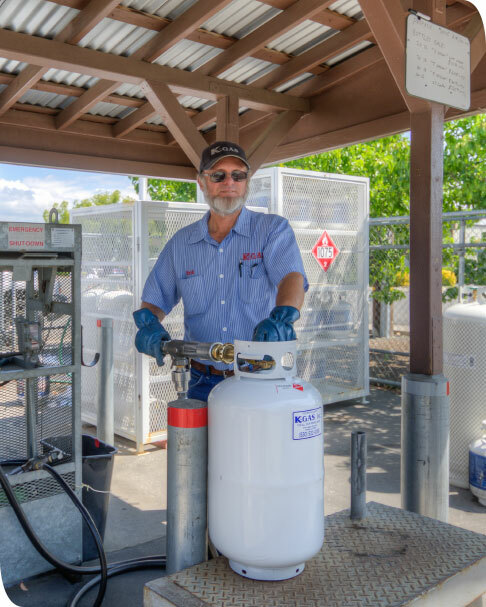 They describe the attitudes and actions you can anticipate when you hire us to meet your propane needs. Feel free to ask us what we mean by what we believe by the statements below and we would love to clarify and tell you more. We believe you deserve to be treated the same way we would want to be treated. We believe you shouldn’t have to pay more for great customer service or experience from your propane supplier. We believe that the price you see is the price you should pay! We believe that all of our customers should be treated the same and pay the lowest price possible all year long. We believe that if you have a propane emergency it should be handled promptly. We believe that anyone can sell you gas, but that not everyone can offer the same level of dedication and commitment to their customers as we do.